It's not necessary to be an activist or install solar panels all over your home to help the environment. Although you can do these things, the little everyday measures make a big difference in helping to conserve energy and the environment, while reducing your carbon footprint. 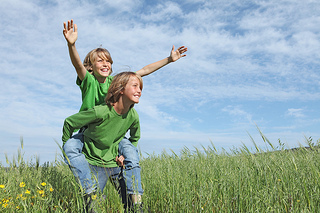 Our team at Mid-Hudson Oral and Maxillofacial Practice wants to remind you to celebrate Earth Day and help the environment, knowing that it will benefit your and your children's generation. Dr. Matthew Hilmi and our team strongly advise you to stop using smokeless tobacco—or any kind of tobacco product—and not to pick up the habit if you aren't. There is no safe level of tobacco use, smokeless or otherwise. You can and should always talk to your doctor, healthcare practitioner, or Dr. Matthew Hilmi for help quitting. But there are many other resources available today for those who'd like to quit. The National Cancer Institute offers information, support (local and online), and tools to help smokers and smokeless tobacco users quit. They offer live online chat with cessation counselors Monday through Friday and even have a smartphone application available to help people who are serious about quitting. Make the best choice for your health and well-being; avoid the bad habit of tobacco products. If you have any questions about how tobacco related products affect your oral health and hygiene, please don't hesitate to ask one of our Kingston staff members. April is Oral Cancer Awareness Month. If you have been putting off a visit to our Kingston office, now is an excellent time to schedule one. Regular visits to Mid-Hudson Oral and Maxillofacial Practice can be the first line of defense against oral cancer, by identifying early warning signs of the disease, or helping you with preventive care tips to lower your chances of developing it. If you have a hard time understanding your dental insurance plan, particularly the treatments and services it covers, you’re not alone. That’s why Dr. Matthew Hilmi and our team have put together a cheat sheet to help you through them. Annual Maximum: The most your policy will pay per year for care at Mid-Hudson Oral and Maxillofacial Practice. It is often divided into cost per individual or per family. Diagnostic Services: A category of treatments or procedures that most insurance plans will cover before the deductible, which may mean services that occur during preventive appointments with Dr. Matthew Hilmi, including X-rays or general screenings. Provider: Dr. Matthew Hilmi or other oral-health specialist who provides treatment. Dr. Matthew Hilmi and our dental staff hope this list of terms will help you understand your dental insurance plan better. Be sure to review your plan and ask any questions you may have about your policy the next time you visit our Kingston office. Dr. Matthew Hilmi will give you instructions on caring for your mouth and teeth for the next few days. Gentle care for the extraction site is vital. And treat yourself gently as well. Rest if you need to, and avoid activities that might impact your wound. How do you know if you have a dry socket? Monitor your pain and the appearance of the site after the extraction. For the first few days, you might feel some pain in the immediate area. Pain that intensifies after three or four days is usually not a result of the extraction. An unpleasant odor or taste in your mouth could be a sign of dry socket. You might look in the mirror and notice that the clot is no longer there, or appears to have been dislodged. If any of these symptoms occur, call our Kingston office at once. If you are experiencing dry socket, the extraction site needs to be cleaned and protected from further injury, and we can prescribe antibiotics if needed. 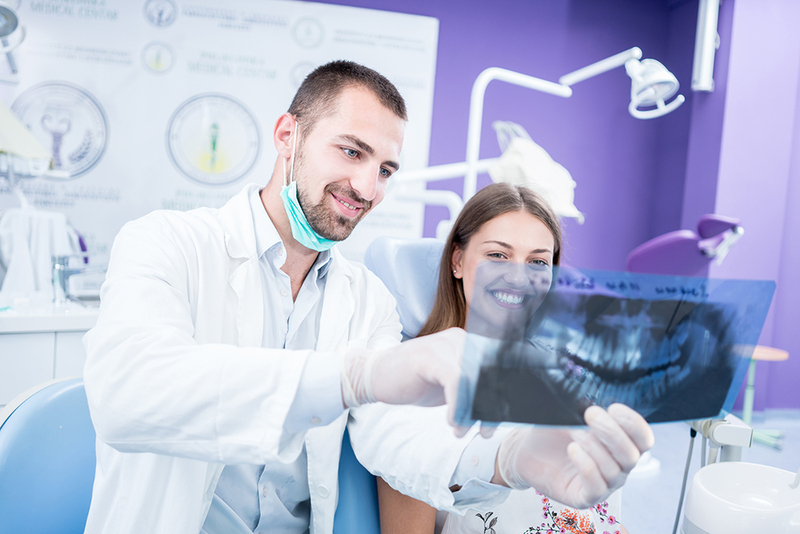 You might suspect that your wisdom teeth are starting to emerge, but knowing the signs of impacted wisdom teeth can help you be more proactive about your dental care. Impacted wisdom teeth can be extremely painful and can make your life truly miserable until they are removed. Therefore, looking for the early warning signs listed below, and seeing Dr. Matthew Hilmi if you experience them, can help you conquer the problem before it conquers you. If you are feeling a type of teeth pain you've never felt before, especially when it is focused in the back area of your jaw, this may be a sign that you have a tooth impaction. You may be fortunate enough to catch it early, before all of your wisdom teeth become impacted, if you see Dr. Matthew Hilmi as soon as you feel the pain. Visit our office as soon as possible if you have any of the above signs of impacted wisdom teeth. The sooner you get treatment, the sooner the pain will be behind you for good! Oral surgery can be used to treat many jaw related issues and is performed by an oral surgeon like Dr. Matthew Hilmi. Surgery that is performed on the jaw can ultimately help a wide variety of dental issues and also can help improve your appearance. Corrective jaw surgery is performed on patients who need dental abnormalities improved; this could include skeletal issues or even misalignment of the teeth and jaw. After surgery the patient will notice a quick improvement of breathing, speaking, and even chewing. TMJ or TMD is caused when the joint that located in front of the ear causes a patient to suffer with headaches as well as pain in the face. Surgery is a last resort for this problem since many patients can get relief by taking medication, using splints, or going to therapy. People who are getting dentures can have surgery performed that will make sure that their new dentures will fit perfectly. Also, after a patient wears dentures for an extended amount of time it can cause the bones to deteriorate. A surgeon can add a bone graph that will stop this process from getting any worse. If a patient has a problems with their jaws not growing equally, surgery can help. Without surgery there may be issues with being able to eat or swallow as well as breathing and speaking clearly. Sometimes these issues can be addressed by wearing braces, but with severe cases surgery will be required. Jaw surgery can dramatically change your life. Dr. Matthew Hilmi will be able to tell if you will be a good candidate for jaw surgery to correct any dental issues you currently have. Contact our office to find out more. If you or someone you know is going to require oral surgery, you may have many questions about what exactly will occur during the surgery, what to do (or not do) before and after surgery, and what your options might be. Here, we’ve covered the most common ten questions pertaining to oral surgery. Maxillofacial and oral surgeries is a dental practice consisting of the diagnosis and the surgical treatment of injuries, defects of the mouth, face, jaw and related structures, and of diseases. It depends on the actual procedure, but many of the more intensive surgeries require that you be anesthetized, or put to sleep for the duration of the procedure. Wisdom tooth removal and dental implant procedures are examples where anesthesia may be required. A dental implant is used to replace missing teeth. A titanium fixture is implanted into the jaw if there is sufficient bone to provide anchorage for the implants. With proper care and good hygiene practices, a dental implant can last a lifetime. Most patients are surprised to find that it was less painful than they expected. Regular Tylenol® is often enough to control the discomfort until it fades after a few days. Many people have more teeth than they have room for in their jaw. Wisdom teeth are the "third molars" and they try to erupt into a jaw that is too small when children are in their late teen years. Today most wisdom teeth end up getting impacted because they have nowhere to go thanks to a mouth full of healthy teeth. When they are not in a normal position they can cause discomfort, pain and even damage to other teeth or nerve endings. Therefore, if your X-rays show that your wisdom teeth are impacted, we may recommend their removal. Will I Miss Work Due to Oral Surgery? Taking one day off for the surgery and rest afterward is advised. We'll let you know on a case-by-case basis if more time off is needed, though after most oral surgeries people can go back to work the next day. Is Exercise a Problem After Oral Surgery? We usually recommend a week of rest before resuming your exercise regimen. If we think more rest would be better, then we'll let you know. In most cases, you can eat after you get home from the surgery, and soft foods are best. If you have any specific questions or concerns, we are here to help, and put your mind at ease. Please contact our team at Mid-Hudson Oral and Maxillofacial Practice. We’d love to hear from you! If you’ve already had your wisdom teeth removed, you know how painful they can become if they aren’t taken care of promptly. If not, watch out for discomfort in the back of your mouth and let Dr. Matthew Hilmi know right away if you think your wisdom teeth are coming in. If you’ve noticed these symptoms, schedule an appointment at our office. Don’t forget: This is a common procedure that will take some time to recover from. Allow your mouth to heal, and then you’ll be able to get back to a normal routine quickly and be free from pain! Oral Surgeon vs. General Dentist. What's the Difference? Patients have a variety of options in dental providers, and it can be tricky to know which type of dental professional is best for your current needs. Understanding the differences between general dentists and oral surgeons, like Dr. Matthew Hilmi, can help you make an informed choice for dental care. Both general dentists and oral surgeons must complete dental school after receiving a bachelor’s degree. In dental school, which typically takes four years of full-time study, students take coursework in anatomy, physiology, pharmacology, pathology, and oral surgery. Dental students also complete clinical practicum experiences, gaining hands-on training in how to diagnose and treat dental problems. After completing dental school and earning the Doctor of Dental Surgery (DDS) or Doctor of Dental Medicine (DMD) degree, a general dentist must complete a licensure exam to practice in a particular area. In contrast, oral surgeons (often called oral and maxillofacial surgeons) complete a four to six year surgical residency. The residency program must be accepted by the Commission on Dental Accreditation, ensuring that each resident receives the training in oral pathology, anesthesia, oral surgery, and other areas needed to competently practice. Following the surgical residency, a person completes a board certification examination. General dentists serve as primary care providers for dental medicine. At the general dentist’s office, you will receive teeth cleaning, X-rays, and a comprehensive screening for dental problems. General dentists most often provide gum care, dental fillings, root canals, veneers, bridges, and crowns. They also make recommendations for how to prevent common dental problems. Although a general dentist may perform simple tooth extractions, more complex surgeries may be outside of the scope of a general dentist’s competence. Oral and maxillofacial surgeons receive specialized training to treat a variety of conditions affecting the face, mouth, and jaw. Patients are typically referred to an oral surgeon when a problem is beyond the scope of a general dentist’s expertise. 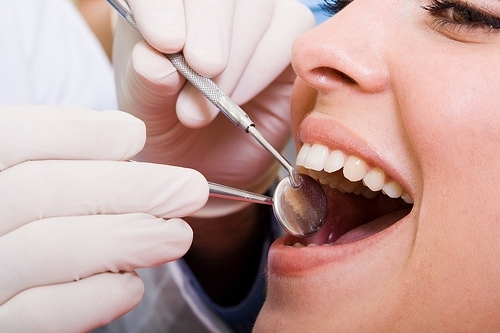 Oral surgeons perform simple and complex tooth extractions, including wisdom tooth extraction. They also provide care to accident victims who need reconstructive dental surgery. Oral surgeons may also perform soft tissue biopsies, tumor removal, jaw realignment surgery, soft tissue repair, or positioning of implants. 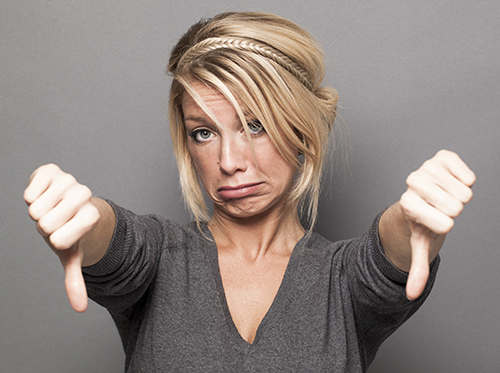 It can be difficult to determine what dental professional best fits your needs. Contact our office to determine if an oral surgeon can best meet your needs.